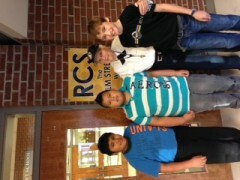 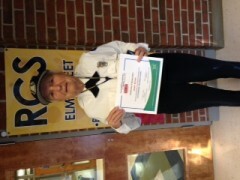 The week of November 17 was Crossing Guard Appreciation Week as deemed by Safe Routes to Schools. 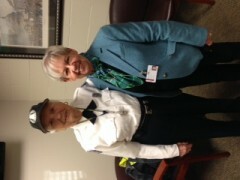 Emma Brown, Elm Street School crossing guard, was honored for her 14 years of dedicated service to Elm Street by Principal JoAnn Moss. 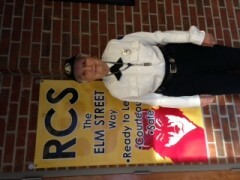 Ms. Brown stated that it is a privilege to work at Elm Street and hopes to continue for the next 14 years. 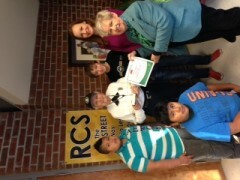 Northwest Georgia Regional Commission Bike/Ped Coordinator Charlie Jones and Alisha Hatcher, Safe Routes to Schools Coordinator also presented certificates of appreciation to other Rome City Schools crossing guards for their service.